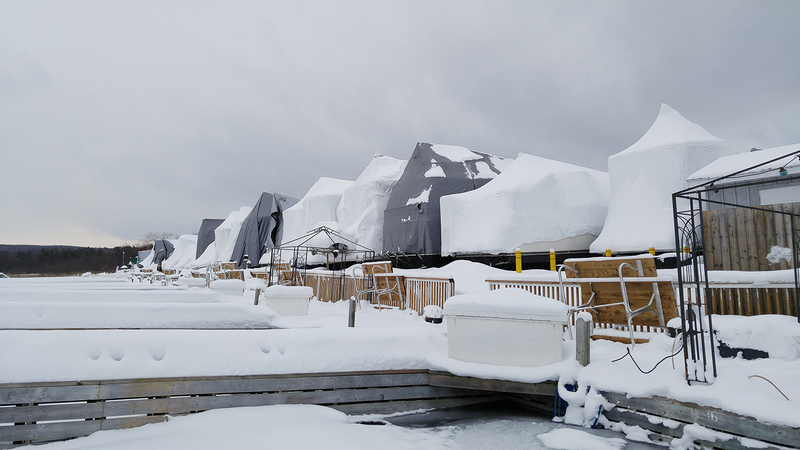 Do you need a safe, secure place to store your boat in the winter? Hindson Marina offers 24-hour gated security so you can store your boat outside with confidence. A shrink wrap service is also provided. Outdoor storage is an economical alternative to indoor storage. The perfect storage choice for you and your vessel will depend upon on a number of factors including the size of your watercraft and your budget. Our customer service staff will be happy to discuss which storage option will best suit your needs. Is Indoor or Outdoor storage right for you?